Seating Trends: Ribbed Backs Rock! Ribbed back office chairs have dominated the workplace in 2016. Brands like Woodstock Marketing, Global Total Office, and Eurotech Seating are rapidly turning this popular chair trend into an industry standard. 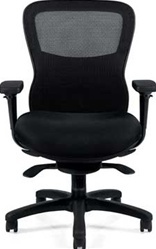 Today on the OfficeFurnitureDeals.com blog we'll take a look at the hottest ribbed back office chair styles on the market. Enjoy! First up, our favorite ribbed back chair of the year! The Joplin from Woodstock Marketing draws it's inspiration from Janis herself. This contemporary ribbed back office chair is perfect for conference room and executive office interiors. The Joplin is available in black, white, red, gray, and brown leather color options to compliment your decor. Choose from mid and high back models priced respectably and $269.00 and $299.00 in 2016. Ribbed back office chairs make it easy to maximize conference room seating. As bulky chairs limit elbow room, the European design characteristics of ribbed back models like the Global Accord make them perfect for professional meeting areas. These popular mesh, fabric, and leather office seating solutions from Global Total Office are available in an unlimited array of designer color options. Global Accord chairs are completely customizable. If the average ribbed back chair just won't cut it, check out these best selling line! Combine today's hottest office chair trends with modern ergonomic technology. The Eurotech Seating Frasso chair makes it easy to find the perfect sit and the support you need to make it through intensive collaboration sessions in the boardroom. These top of the line ribbed back chairs come equipped with multi functional mechanisms, user friendly controls, and waterfall seats that take pressure off the knees when working. Stylish, affordable, and comfortable! 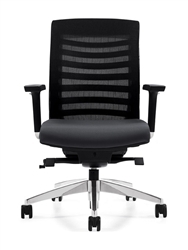 The Offices To Go 11730 model ribbed back office chair is an absolute winner in the workplace. At the everyday low price of $201.99, you'll be hard pressed to find a more well rounded office chair at even twice the price. The 11730 offers well padded seating surfaces that perfectly compliment the polished chrome base and arms. This popular chair from Offices To Go is also a great option for shoppers in need of new seating in a hurry. The 11730 typically ships within just 2 days of order! Last but certainly not least, bargain shoppers will absolutely love the model BT-9826H-BK-GG chair from Flash Furniture. This high back faux leather conference chair provides exceptional value at it's $185.99 price point. If you're looking to enhance your conference room without breaking the bank, the BT-9826H-BK-GG chair is the perfect option. 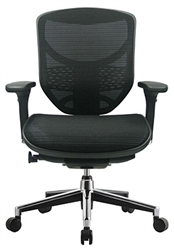 With it's polished frame and base, user friendly controls, and slimming design, this ribbed chair is the full package. the BT-9826H-BK-GG boasts standard ergonomic features that include a built in lumbar support, locking knee tilt control mechanism, and built in rear coat rack that prove quality and comfort don't have to cost a fortune. 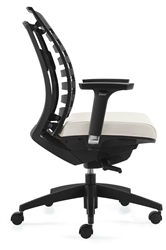 When it comes to high quality ergonomic office chairs, Eurotech Seating knows their stuff. This leader in the field takes pride in crafting user friendly chairs designed to make finding the correct operating position a breeze. Eurotech's top of the line chairs are perfect for executive office, conference room, intensive tasking, and professional training applications. 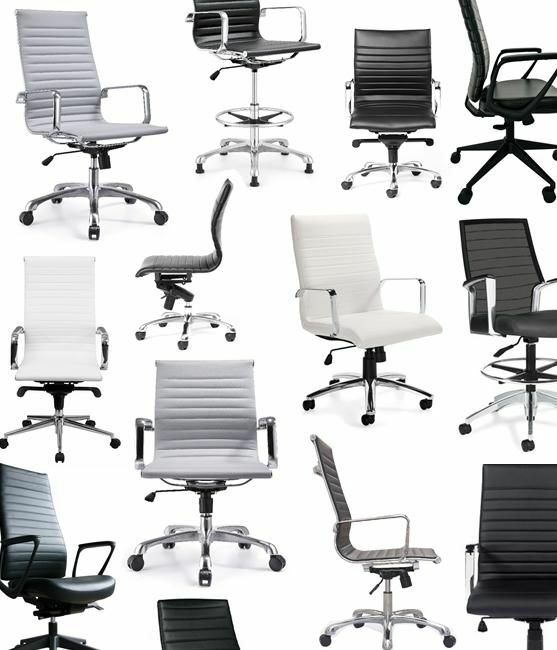 Today on the OfficeFurnitureDeals.com blog we'll highlight the popular chairs that make them industry experts. Enjoy! First up, the chair that put Eurotech Seating on the map. The Ergohuman is an ergonomic marvel. These distinctively modern seating solutions are available in a variety of mesh, fabric, and upscale leather upholstery options that compliment both high and mid back designs. Ergohuman chairs are still ahead of their time. With multi functional operating mechanisms, top notch lumbar support, and adjustable arms, these chairs are the full package. Our personal favorite, the LE9ERG is an awesome choice for any executive looking to kick corporate appeal and functionality into overdrive. Enhance your conference room without sacrificing comfort! 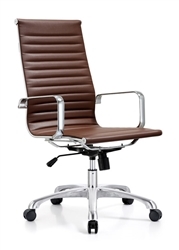 The all new Frasso series high back leather office chair from Eurotech is the full package. This designer office chair with ribbed back design falls squarely inline with the hottest trends of the year. With it's European influenced aesthetic attributes, the Frasso will earn your meeting area the compliments it deserves. Once seated, your guests will be rewarded with a plethora of high end ergonomic adjustment features that make it easy to cruise through extended group strategizing sessions. Not all tasking chairs are created equal. Those from Eurotech reign supreme. While other brands are busy looking for ways to imitate the latest ergonomic trends, Eurotech is setting new ones in motion. Take one sit in their impressive Concept 2.0 chair and you'll see what we mean. With it's generous dimensions and breathable mesh back design, the Concept 2.0 is perfect for all day operating. The tilt tension control, tilt lock, synchro tilt, and multi back adjustment features work in harmony to provide users with a customizable sitting experience they'll never forget. A well designed office training area will help your business transform new workers into super stars. That being said, your valued employees will need to be sitting comfortably and effectively to retain the essential info you're providing. Allow us to introduce the Eurotech Seating Eduskate! It's like a training workstation on wheels. This high tech and innovative new product from Eurotech boasts a user friendly tablet work surface, book storage space, and even a cup holder. What's not to love? The Eduskate practically eliminates the need for training room tables. Purchasing these chairs will save your business money, boost ergonomic functionality, and improve corporate appeal. Last but certainly not least, Eurotech Seating understands the importance of guest comfort. Their popular Staq series chairs are the perfect option for guest reception, lobby, waiting room, and private office seating needs. These easy to clean side chairs boasts a rear handle that makes reconfiguring interiors a breeze. The stackable design help to maximize floor space and square footage when not in use. 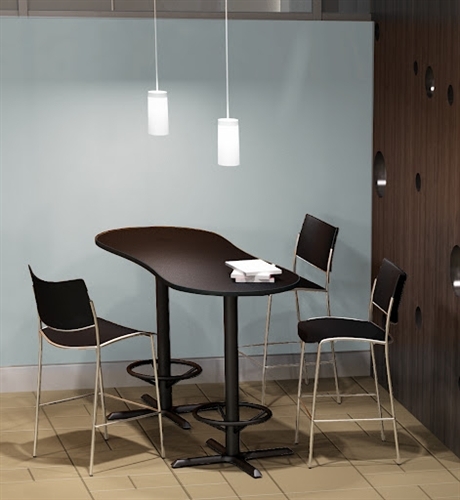 Additionally, these stylish side chairs for office waiting areas are available in 5 quick shipping finish options. If you need new ergonomic guest chairs in a hurry, the Staq has you covered. Sold in packs of 4 $368.00, Staq chairs offer unmatched value to go along with their space saving benefits and top notch comfort qualities. Rest assured, you'll be hard pressed to find a more well rounded guest chair for the money. 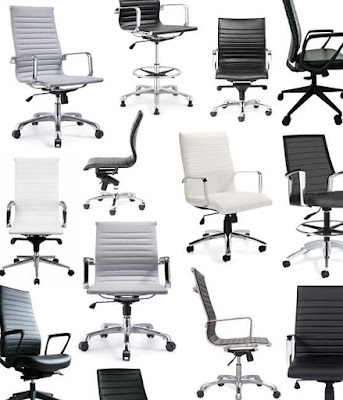 In A World Filled With "Ergonomic Chairs", How Do you Choose? It doesn't take much to be considered "ergonomic" these days. In 2016, nearly every office chair on the market is equipped with some form of ergonomic feature designed to help you improve comfort and productivity. That being said, not all ergonomic chairs are created equal. Today on the blog, we'll highlight tips, tricks, and suggestions to help you select the best chair of your individual needs. Enjoy! Before rushing out to purchase the "coolest" new office chair on the market. Take the time to meet with your physician. Discuss your personal areas of discomfort and ways to alleviate pain during your work day. Doctor's typically offer the best ergonomic advice. With you new found knowledge, you'll be ready to select a chair with equipped with the features needed to keep you operating efficiently. Online reviews really come in handy during the office chair selection process. You can find accurate reviews of ergonomic forums and blogs like ours. Please keep in mind that comfort is in the eye of the beholder. Just because an office chair is the perfect fit for one person, that doesn't mean it will be for you. That being said, don't just rely on 1 review. If you can't find a reliable review on a specific office chair, be sure to contact a few dealers directly. Don't be afraid to ask about their opinions on chairs your interested in. Doing this will help you generate your own review! YouTube is an awesome resource for office chair shoppers. Many of today's top brands will post helpful demo videos online to showcase their top chairs. After you've watched a few demo videos, you'll be ready to select a new ergonomic chair that's not too difficult to use. In the long run, office chairs are only as good as their owners. Don't purchase a chair without doing your research on it first. Demo videos will give you a great idea of how specific chair mechanisms work and if they're right for you. You'll no doubt want to select an office chair that's up to date with the latest trends and industry standards. In 2016, "smart chairs" are the way to go. Best selling smart chairs like the Arti from Global Total Office automatically react to user movements to make finding the perfect operating position. If you like the idea of adjusting less and minimizing the ergonomic learning curve, check out popular office seating solutions like the Arti! There's no substitute for trying chairs in person. If you have a showroom in your area, take the time to visit it. If possible, visit more than one! The more chairs you try the better. Testing chairs and their features in a live setting will help you formulate your own opinions in order to make an educated purchasing decision. The most expensive office chair is not always the best. Once you know what chair features you need, you can effectively shop for value. Believe it or not, many of today's "top rated" chairs priced over a thousand bucks comes standard with the same features as those nearly half the price. When shopping for your new chair, write down a list of must have features. Bookmark the 10 best chairs you find online and comparatively price them. Make out a list of pros and cons to determine which will be best for your personal needs. Once you've settled on a chair, call your dealer of choice to inquire about any current coupon deals, free shipping specials, and offers they may be running to earn your business. Everyone loves a good deal. Purchasing a new office chair at a discount price will make you feel better about your ergonomic investment. 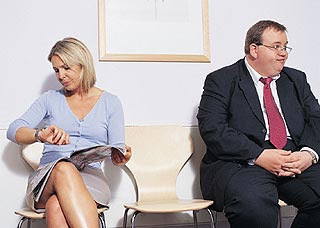 Think about the last time you were stuck in a waiting room. Were you entertained and having a good time? Probably not! That being said, it's important to critique your own guest waiting area and analyze the visiting experience from top to bottom. Today on the OfficeFurnitureDeals.com blog we're here to help. Enjoy these 5 awesome ways to make waiting for an important appointment more bearable for your office guests. First impressions begin to form the minute guests walk in the door of your business. If you wow them right out of the gate with an impressive furniture layout, they'll be far more likely to enjoy their wait. To do this, we recommend selecting modern furniture and seating when remodeling your waiting room. Integrating trend setting color options like gray leather and utilizing tablet arm chairs will get you off to a great start. Take your quest to make a great first impression a step further by adding cool accent tables and room accents to make visitors feel more at home. When remodeling your waiting room, keep the word "open" in mind. If you strive for an open concept and avoid overcrowding your guests, they'll feel much better about their trip and forget about having to wait after checking in! It's as simple as this... Uncomfortable chairs make for bad visiting experiences. Selecting comfortable chairs for your waiting room is an absolute must. Sure style matters, but in the long run, comfort always reigns supreme. When selecting new chairs for your waiting room, don't be afraid to do a little research. Check out product reviews online and visit a showroom if there's one in your area. Give you dealer a call to inquire about chairs they've personally tried. No matter what, don't make a blind purchase. It seldom leads to makeover success. 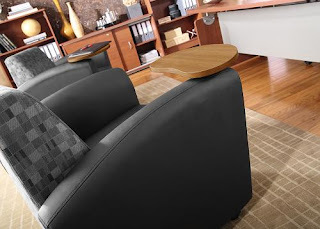 Need help narrowing down you search for comfortable waiting room seating? No problem! We recommend checking out lounge chairs, side chairs, and sofas from Global Total Office and OFM. These brands are known for quality craftsmanship and their attention to detail. Mobile devices act as awesome distractions in the waiting room. Unfortunately, guests with low battery power are often left waiting with nothing more than old magazines to keep them company. To solve this problem, go with powered furniture! Best selling collections like Morph from OFM and River from Global Total Office offer the user friendly input options needed to drastically improve the guest waiting experience provided by your business. The wait goes bad when boredom sets in! Providing a coffee station and free snacks in the waiting room will make your visitors feel more at home. If you can find the time to make a tasty batch of cookies or brownies, you'll be an instant hero with your guests. Give this tip a try and watch your guests light up when they spot the treats in your waiting room. Nothing suffices for short wait times. All the devices, distractions, and treats in the world won't help if you leave your valued visitors waiting for extended periods of time. That being said, keeping wait times to a minimum is all about structured scheduling. Work with your receptionist to determine the average length of time each appointment will take. This will help your front desk attendant avoid the dreaded overlapping of appointments. If you get behind during a busy day and waits begin to extend, don't panic! Have a backup plan to keep your guests calm, cool, and collected. Have your receptionist trained and ready to handle such situations. Well run businesses strive to keep wait times under 10 minutes. In the event of extended waits, a quality receptionist should come out from behind their desk, and ask the visitor currently enduring the extended wait if there's anything they can do to make their visit more enjoyable. After a visitor who's dealt with an extended wait leaves, go the extra mile and call them personally to apologize. Personal dedication like this goest a long way. Your guests will appreciate your dedication and commitment to their satisfaction. If a regular old out of the box office chair just won't cut it, turn to the custom seating solutions crafted by Global Total Office. 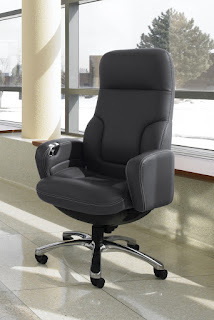 This industry leading manufacturer takes pride in creating the best office chairs money can buy. Global Total Office chairs boast high end adjustment features that make finding the perfect sit a breeze. Today on Ergo Experts we'll highlight 5 cool chairs that show why Global is the best in the biz! Let's kick off today's post by showcasing one of 2016's most advanced seating solutions, the Global Total Office 6670-2 Arti chair is an ergonomic marvel. This "smart chair" articulates like the human spine to mimic the users profile. While most of today's "best selling" chairs require constant adjusting to get comfy during those long days at the office, the Arti minimizes the learning curve. With the Arti you'll be properly supported without the constant need to pull tension knobs and mechanism levers. This high tech office chair works great in executive office, tasking, and even conference room applications. 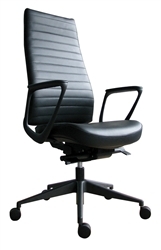 The Global Total Office Concorde seating collection has been the go to choice of president for years. 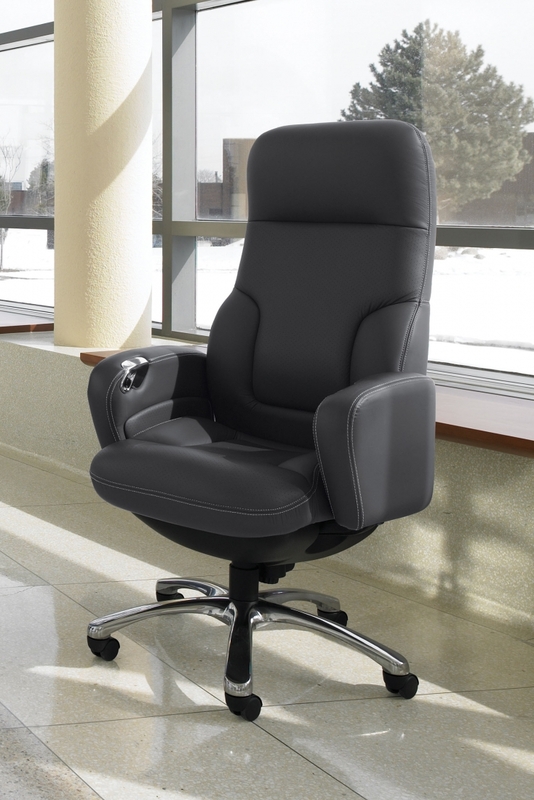 This top of the line office chair offers unmatched comfort and a luxurious array of high tech features. With it's push button arm controls, the Concorde is ahead of it's time. These elegant ergonomic executive chairs are available in upscale upholstery options that will wow any office visitor while helping your interior to earn the compliments it deserves. With the Concorde you'll enjoy stunning aesthetic appeal with the user friendly features to match. In terms of quality, there is no better office chair available on the market, period! When it's time to get down to business, you need a high quality office chair that you can rely on. That being said, allow us to introduce the Graphic collection from Global Total Office. The best selling computer chairs from this highly regarded line offer high quality craftsmanship that's visible from every angle. The Graphic 2739 model task chair comes standard with an advanced mechanism that places the pivot point directly below the operator's hips allowing both the user and the chair to pivot from the same point in a natural motion. 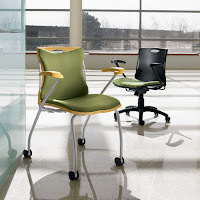 When paired with adjustable T shaped arms and a natural lumbar support, the Graphic chair is the full ergonomic package! Graphic series chairs are available in a wide range of fabric, mesh, and leather upholstery options to meet the decor needs and budget of any makeover project! Global makes it easy to create ergonomically correct office interiors, as well as classroom and training environments! Their Flex Nest chair collection saves space, looks great, and provides a comfortable sit your valued up and comers will appreciate. Flex next training room chairs take advantage of space saving ergonomic attributes. These mobilized side chairs can be quickly folded and nested along perimeter walls to when not in use. With Flex Nest, interior reconfiguring and cleaning is an absolute breeze. It doesn't get more versatile than this chair line from Global Total Office. Many competing chair manufacturers have tried to imitate the Global Accord collection. Zero have succeeded. This elegant conference and boardroom seating collection from Global is in a league of it's own. 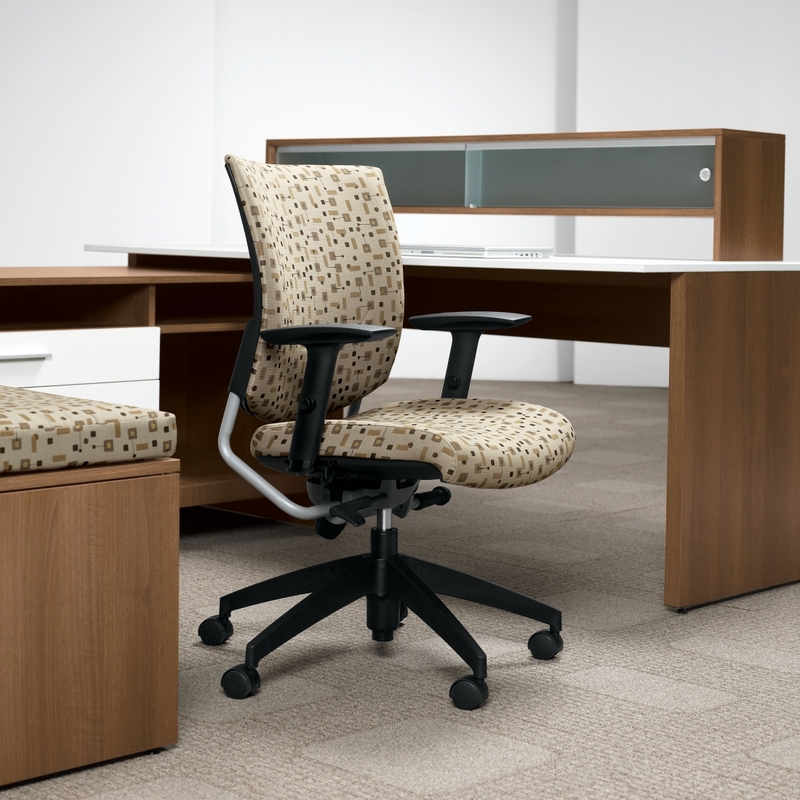 With sleek backs and well padded seats, Accord chairs save space without diminishing comfort. As the days of utilizing bulky, executive style conference chairs are coming to an end, chairs with European design characteristics like the Accord reign supreme. With the Accord you'll be able to increase the number of guests that can fit around your boardroom table. Accord chairs are absolute beauties! With polished chrome accents and intricate stitching details, these chairs designed by Zooey Chu will continue to be unrivaled. If you want the best and won't settle for less, the Accord collection is the only way to go. With a wide range of mechanism options, creating a customized conference room sitting experience is no problem at all. So You've Got A Great Office Chair, What's Next? You've done your research, you've read the reviews, and you've purchased the perfect office chair for your personal ergonomic needs. Now what? All too often, chair shoppers find themselves wanting after investing in a new chair because they haven't yet developed the positive posture habits needed to sit effectively during those long days at the office. Have no fear, we're here to help. Today on the OfficeFurnitureDeals.com blog we'll show you how to take the next step in your quest for top notch office comfort. Enjoy! First things first, when your new chair arrives, put it together yourself. Tackling the assembly process will help you master your office chair and it's features. In addition, if your chair ever has a problem, you'll likely know how to fix it! Take the time to read the owner's manual from cover to cover. Don't worry, we won't make you try to read the Chinese version that's likely included! That being said, the manual offers everything you need to know for proper office chair operation and maintenance. As you go through the manual, take a highlighter to the important sections that cover chair functions. You can also type up a list of the important chair levers and what they do. Post it within eyesight of your computer screen. Rest assured, during the first couple of weeks with your new chair you'll be adjusting regularly. The list of reminders will help you avoid the need to constantly pull out the manual to remember what function a certain lever performs. Overtime, you'll commit your chair operations to memory. You'll be adjusting quickly and efficiency at a moments notice. No matter what, don't take a "set it and forget it approach". This type of ergonomic complacency never leads to improved functionality and comfort. In the long run, the office chair is only as good as it's owner. It's important to note that even the most expensive ergonomic task chair won't be able to live up to it's potential without it's user taking the time to form good posture habits. If you're looking for simple ways to improve office chair posture, you're in luck! We're going to cover the top 3 to get you started. In addition to the tips highlighted below, make yet another list to post within eyesight of your workstation. Studies have shown that this simple practice yields big time results. As posture tips are tough to remember during those busy days in the office, seeing those reminders will keep them fresh in your mind. Keep your back in contact with the chair at all times. Each time you lean away from your chair back, you're missing out on the key support needed to keep you operating effectively for long periods of time. Keep your feet flat and facing forward. Don't use the base of your chair as a footrest. This restricts blood flow that can lead to cramps and muscle fatigue that hinders performance. Raise monitors to eye level. Looking down at your screens when typing causes neck pain, physican strain, and visual fatigue. Even with a plethora of good ergonomic tips and strategies committed to memory, you'll still want to avoid sitting for long periods of time. This poor practice can actually shorten your life span. Needless to say, taking short breaks is a big deal. Stand up from your office desk and walk around a bit. Stretch out those muscles and get a drink of water to help you stay hydrated. Even during the most busy days, force yourself to take at least one 5 to 10 minute break every hour. A well designed, modernized guest reception area will make a lasting impression on your office guests. Today on the OfficeFurnitureDeals.com blog we'll highlight the tips, tricks, and product suggestions needed to maximize reception area appeal and functionality. Enjoy! First things first, all professional remodeling projects start with effective space planning. 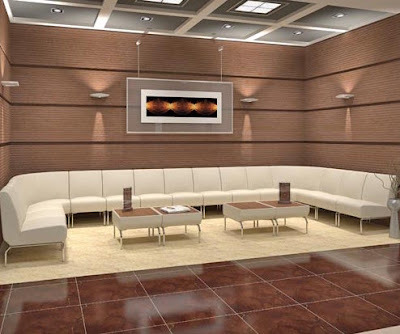 Don't rush into your project without first obtaining the dimensions of your reception area. When measuring your space, take note of windows, entry ways, and room obstructions that will affect the way your furnishings fit. Rest assured, there's nothing worse than purchasing trend setting reception furniture only to find that it doesn't fit properly! With the basics covered, you'll need to get inspired! Check out social sharing sites like Instagram and Pinterest. You'll be rewarded with awesome ideas to integrate into your project. When researching the latest trends, take note of the interior themes and cool products you come across. To further your quest for reception area design inspiration in 2016, check out a local showroom. Don't be afraid to ask the professionals for design tips and advice on how to make your interior stand out from the competition. They'll provide you with the product suggestions and knowledge needed to kick corporate appeal into overdrive. Now that you're properly inspired, it's time to shop! As the main focal point of your reception area, you'll need a cool welcome desk to center your seating around. This year, brands like Mayline are enjoyed immense success with gray laminate reception desks from collections like Sterling. These contemporary welcome stations boast work surface extensions and glass transaction counters that will really make your interior pop. They're definitely worth a look! If the average reception desk just won't cut it, check out customizable solutions. We recommend Global Total Office Zira reception desks as they are easy to spec and incredibly versatile. These upscale stations can be enhanced with frosted glass paneling, edge details, and modern handle pulls that work together to wow your guests with unmatched appeal. A traditional sofa and lounge chair layout will get the job done, but why not think outside the box? Brands like OFM are changing the way we look at reception seating with one of a kind modular collections like Uno and Triumph. These innovative lines make it easy to maximize square footage and interior potential! You'll also want to consider tablet arm lounge chairs and powered furniture collections to improve the guest waiting experience. Powered chairs with tablet arms will help you modernize the way guests interact during their visits. The ability to "work while you wait" is always appreciated! Powered collections like River from Global Total Office offer unbeatable benefits that will have your reception area on the cutting edge and earning the compliments it deserves. The difference is in the details! The accessories you choose from your reception area makeover project will help pull the room together. This year, industrial accents have been hot. To capitalize on this booming trend, check out your local swap meet and thrift stores. You'll be able to integrate one of a kind pieces that can't be imitated by the competition! If you're looking to keep things a big more simple, check out the awesome accent tables from Global Total Office and their Wind Linear collection. With retro design characteristics, these tables are absolute winners in the workplace! In addition to accent tables, consider metal wall art and a cool area rug for your reception area. These easy to find add-ons will greatly contribute to your modern makeover theme! A great first impression is priceless. To fully impress your valued office guests and earn your business the high marks it deserves, you'll need to create stylish interiors built for collaboration, functionality, and versatility. You may feel this task is easier said than done. But rest assured, we've got you covered! 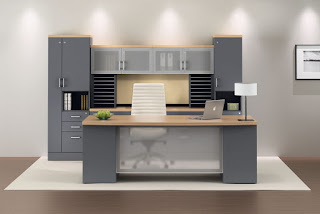 Today on the Office Furniture Deals blog we'll highlight the tips, tricks, and product suggestions you need to wow your visitors without breaking the bank. It all starts with a well thought out plan of attack. Don't rush into your office makeover project as it will only lead to headaches and budget breaking purchases. Start your project by making a list of goals. With your team, decide on a theme that showcases your business personality. This year, modern makeovers that utilize high tech powered furniture have been the latest craze. Once you've settled on a project theme, work to create a budget for your project. Do some preliminary shopping to determine what items you'll need and how much they'll cost. Don't forget about space prep, installation, and the charges not directly related to initial furniture purchases. With basic planning and budgeting out of the way, it's time to get inspired. To create a stylish interior, you'll need to research the latest office furniture trends by browsing social sharing sites like Pinterest and Instagram. If you have a showroom in your area, give it a quick visit. You'll be rewarded with loads of design tips and product knowledge that will assist you in your quest to craft the perfect workspace. Traditional black office chairs will always have their place. However, if you really want your interiors to pop, consider going with white! Contemporary white office chairs match nearly any furniture finish you can think of. They make interiors feel bright, open, and luxurious. 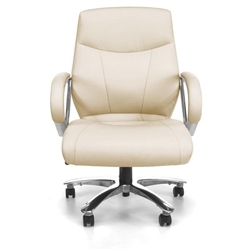 Popular white leather office chair models like the Joplin and Hendrix from Woodstock Marketing are perfect for private office, boardroom, and home interiors. This trend is here to stay! If you're tired of traditional finish options like cherry and maple, give the Mayline Medina and Sterling office furniture collections a look. Finishes like gray steel and textured driftwood make it easy to create ample wow factor. Gray laminate tones like these are a breath of fresh air in the furniture world. It's time to streamline your office interiors. 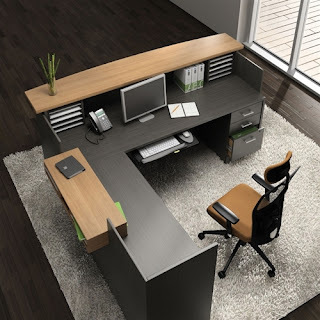 Powered office furniture is rapidly becoming the industry standard. High tech boardroom tables with powered surfaces make it easy to host presentations and group strategy sessions. Don't waste time running extension cords across your beautifully designed space. Put the power at your finger tips when designing your interior. The powered furniture from brands like Global Total Office is a must consider for any business looking to improve workplace productivity and efficiency in 2016 and beyond. The days of creating bulky cubicle configurations built for privacy are coming to an end. This year it's all about collaboration. 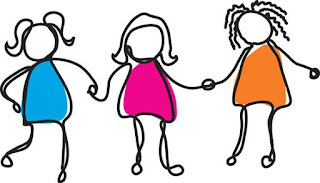 Businesses have realized that by encouraging group interaction, productivity levels and accountability improve. Open concept furniture collections like e5 from Mayline make it easy to create multi user desk configurations that really rock! The benefits of open desking should not be overlooked by any business tackling a full scale remodeling project. No stylish office interior is complete without proper accenting. This year, the industrial look has been in! 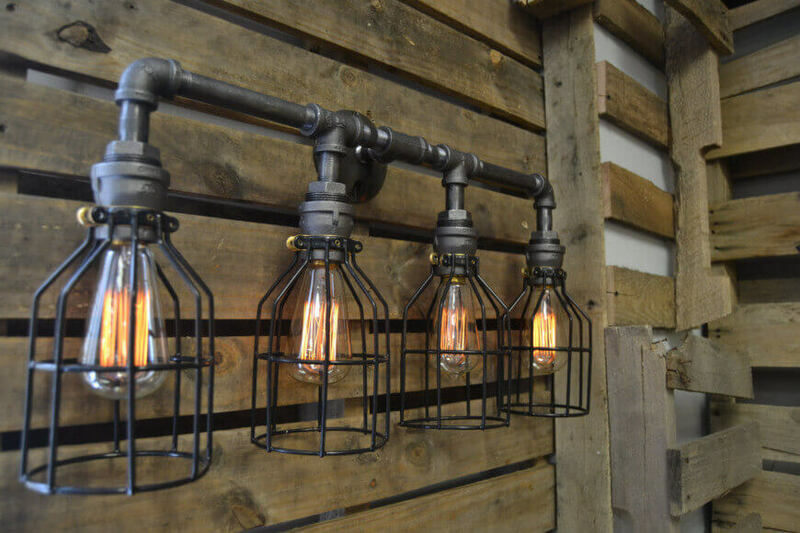 You can't go wrong with retro lighting fixtures salvaged from your local antique store, flea market, or swap meet. The best part about industrially infused office accents is that you'll be creating a one-of-a-kind vibe that can't be imitated by your competitors! Once you've researched, priced, and purchased your new furniture, it's time to properly prep your space! Start by removing your old furniture. Feel free to list it for sale online to recapture funds! With your furniture removed, begin patching walls and removing any unwanted scuffs that will hinder the overall appeal of your space. Next, paint your walls! You can tackle this task with a couple of your coworkers over the course of a weekend. If you order a couple pizzas and throw a "painting party" this portion of the project can actually be pretty fun. When your paint has fully dried, enlist the help of an electrician to hang some cool new lighting fixtures. You can also throw in a cool areas rug that works with your chosen furniture finish. Be sure to handle this prep work before your furniture arrives to avoid office makeover headaches caused by heavy lifting and constant reconfiguring. Once you've assembled your new furniture, it's time to put the finishing touches on your space. Start by hanging wall art and placing potted plants in their desired locations. Once complete, give your newly remodeled office interior a thorough cleaning. Be sure to take pics of your space to showcase online. Viewers will be more than happy to give you pointers on how to further improve your look. Most importantly, host a company gathering to show off your work and earn your project the positive compliments it deserves. 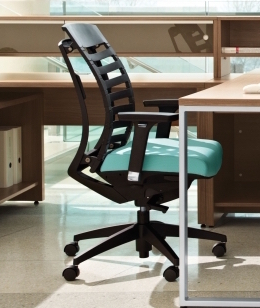 Posture Pals: 5 Office Chairs That Really Have Your Back! Office comfort starts with the chair. That being said, selecting the right chair for your personal needs is a must. Today on the Office Furniture Deals blog we'll highlight 5 top rated ergonomic seating solutions designed to have your back. 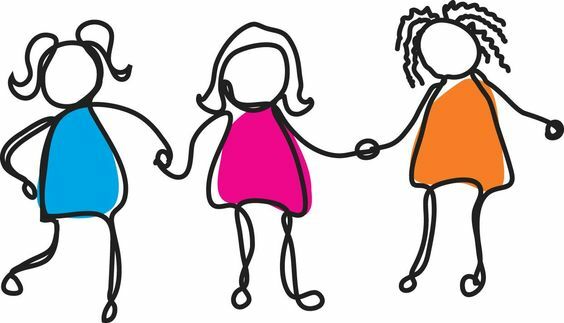 These posture pals are like good friends that won't let you down. Check em' out! 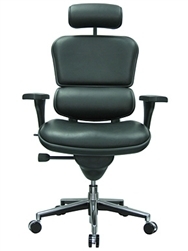 First up, the 6671-2 model Arti self adjusting office chair from Global Total Office. This "smart chair" takes the guess work out of workplace comfort. The Arti articulates like the human spine allowing the chair back to reshaped itself and mimic the user's profile. This posture pal automatically responds to body movements and sitting positions. With the Arti you'll spend more time operating efficiently by reducing the need for constant adjusting. Want to get comfortable in 2016 without sacrificing office appeal? Our next Posture Pal is ready to help! The Mayline Living Chair is an ergonomic marvel. This highly advanced tasker is perfect for both home and business applications. The Living Chair boasts a passive seat slider that reacts to your natural movements in the workplace. 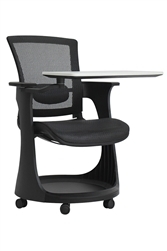 Chairs like this are rapidly becoming the industry standard as they minimize the ergonomic learning curve. If you're tired of constantly toying with tension knobs and adjustment levers, give this upscale chair serious consideration! Our next posture pal is sure to earn your office interior the compliments it deserves while keeping your sitting comfortably during those hectic days at the office. 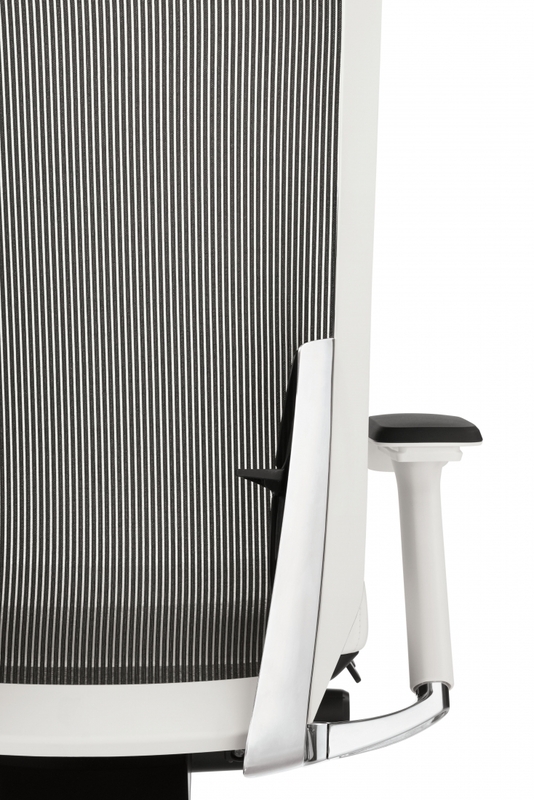 The Eurotech Seating Ergohuman chair is an absolute winner. 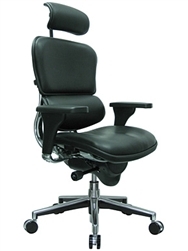 This best selling chair is a favorite of industry professionals and ergonomic enthusiasts year in and year out. The Ergohuman is great in mesh, but we really love it in leather! 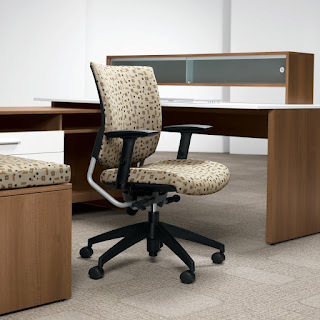 Models like the LE9ERG offer unmatched executive appeal and the adjustment features to match. Finding a posture pal suitable for big and tall chair operator's is easier said than done. Thankfully, brands like OFM have us covered. 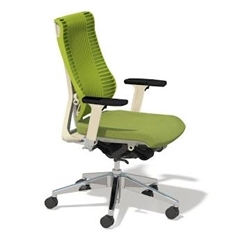 Their 811-LX model Avenger chair puts off a luxurious modern vibe and supports users up to 500 pounds. With it's 5" thick seat, 1" thick arm pads, and easy to clean synthetic leather upholstery, the Avenger is nothing short of impressive. 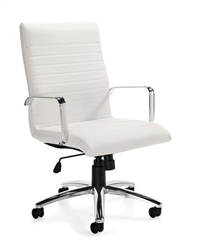 These heavy duty office chairs are perfect for boardroom environments and executive interiors. Last but not least, if you're looking to fight back pain in 2016, we highly recommend the Offices To Go 11668B chair. This well padded ergonomic mesh chair boasts a breathable back and multi functional mechanism that makes finding the perfect sit a breeze. The 11668B comes standard with height and width adjustable arms, as well as an adjustable lumbar support and seat slider. At $405.99, the 11668B is a top notch ergonomic investment. It just goes to show, you don't have to break the bank to sit in comfort. Need your posture pal in a hurry? No problem! This 5 star chair typically ships within 2 days of purchase. These 5 Conference Tables Are Ready, Willing, and Able To Kick Productivity Into Overdrive! Tired of that regular old conference table that does little more than serve as a giant paper weight? If so, it's time for an upgrade! 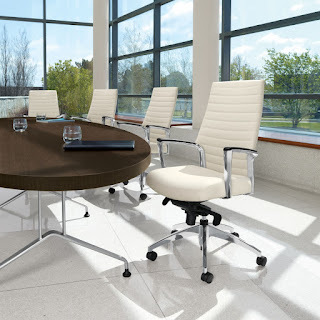 Today on the OfficeFurnitureDeals.com we'll highlight power ready conference tables designed to streamline your meetings and kick productivity levels into overdrive. Powered conference tables are rapidly becoming the industry standard. The days of hunting down wall outlets to conduct presentations are coming to an end. In 2016, tables like the MNC14 are making it easier than ever to host efficient collaboration sessions without breaking the bank. At just $1041.99, this 14' power ready conference table from the Mayline Medina collection provide unmatched value. With curved ends and a stylish silver modesty panel, this modern table is an absolute winner that can be equipped with affordable power modules priced at just $235.00 each. When the average conference table won't cut it, it's time to go high tech and custom! The conference tables from the Global Total Office Zira collection are ready, willing, and able to help. As the most advanced tables on the market, Global's Zira tables can be equipped with USB, HDMI, Audio, Phone, and other user friendly input options. These tables are more like tools! Zira is one of the most versatile and functional collections on the market. If you're looking to take your meeting area to the next level, you can't go wrong with this highly acclaimed conference furniture line. Up next, we're pleased to present to you the ultra modern VL-741. This Cherryman Industries conference table from the Verde collection boasts an attractive boat shaped design that's complimented by white accented legs that double as user friendly cable troughs. The Verde conference tables available in 2016 can be upgraded with the addition of awesome power modules equipped with AC and data inputs. Verde offers a distinctively bold look at a price point any shopper will appreciate. Simple, stylish, affordable. These 3 words best describe the powered conference tables from the Lesro Mystic collection. With a choice of elliptical and rectangular surface shapes. 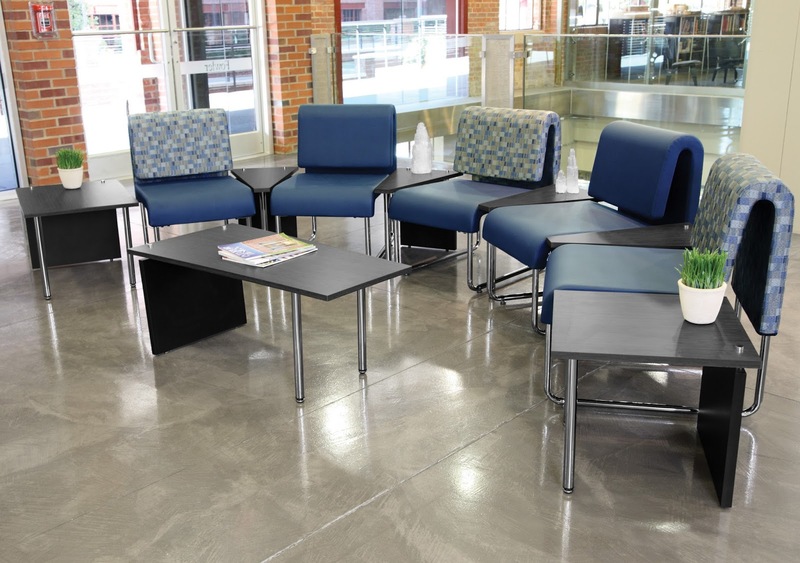 These tables are sure to help give your meeting area a facelift it needs to earn high marks from valued visitors. Mystic tables boat metal legs that put off a unique industrial vibe. All Mystic models, including smaller round and square top tables can be powered up with basic modules that are easy to spec and utilize in the workplace. Last but certainly not least, we've got yet another awesome powered table collection from Mayline. Their TransAction series was simply too cool not to showcase in today's post. With a TransAction conference table from Mayline you're only limited by your imagination. These conference room solutions make it easy to think outside the box and create one of a kind, power ready interiors. TransAction tables are available in a wide range of size and finish options to help personalize your boardroom decor. 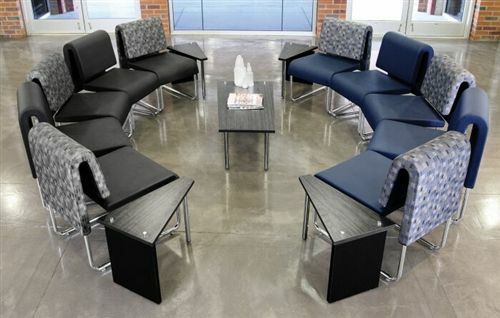 Outfit your new table with one, or multiple modules to streamline conference room activities. With a high tech line like TransAction, you'll definitely want to enlist the help of your office furniture dealer to spec your table. All the options can be a bit confusing. That being said, if you enlist the help of the pros, you'll be rewarded with one of the most advanced meeting areas on the planet. So you've created an awesome workspace, but you're still in search of ways to boost appeal and functionality? No need to worry, you're in the right place! Today on the OfficeFurnitureDeals.com blog we'll highlight the top 5 office add-ons of 2016. These user friendly products make it easy to kick office versatility into overdrive. Enjoy! First things first, you'll want to upgrade your office space with the addition of a smart chair! What's a smart chair? A high tech seating solution that minimizes the need for constant adjusting. Smart chairs like the Arti from Global Total Office articulate like the human spine to provide top notch support during those long days at the office. Don't waste time pulling tension levers, twisting tension knobs, and searching for the perfect sit. Let a smart chair like the Arti do it for you! Other popular smart chairs include the Living Chair from Mayline and the Verte from RFM Preferred Seating. This year, sit to stand ergonomic office stations have been incredibly popular. In the never ending quest to become more efficient and versatile, users are turning to sit to stand desks more often than ever. Did you know that sitting for long periods of time can actually shorten your life span? It's true! With a sit to stand station you'll be able to fight back by promoting continuous movement in the workplace, improving blood flow, and reducing fatigue. Popular sit to stand solutions from Mayline, Symmetry Office, and ESI Ergonomic Solutions are must consider add-ons in 2016. Still operating with a single computer screen? It's time for an upgrade! Kick that factory monitor base that came with your computer to the curb. 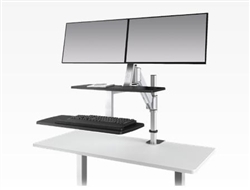 Purchase a dual screen setup to improve the rate at which you compute, increase usable desk space, and reduce visual strain. 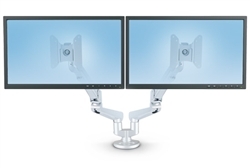 The benefits of an ergonomic monitor arm cannot be overlooked. The years best selling computer screen mounting systems are available for around three hundred bucks. Make the investment into the ergonomic functionality of your space. You'll be glad you did. The days of banging your knees into the CPU have got to end. Regardless of the amount of space available underneath your desk, a CPU holder will be a super handy addition to your workspace. 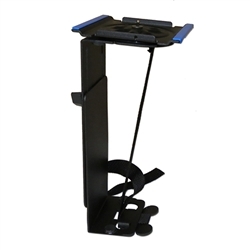 User friendly CPU systems mount on retractable glides that allow them to be slid out of the way when not in use. Getting your CPU off the ground will make your digital files more secure, reduce heating issues, and protect your computer's power source from flood related water damage. 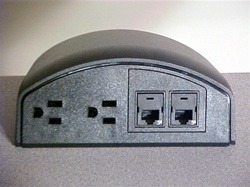 You'll also be able to effectively route wires and plug in wires without strenuous trips underneath your desk surface! To make a long story short, must have office items like a CPU holder will greatly improve the way you work. Go high tech with office power modules in 2016! These days, powered conference room tables have become the industry standard. A power table will help streamline your meetings and collaboration sessions in an instant. Additionally, powered lounge seating will impress your guests while simultaneously improving the overall visiting experience provided by your business. Last but not least, surface level power models can be integrated into your personal workstation to prevent the need for hunting down available USB and AC inputs underneath your desk. Brands like OFM, Mayline, and Global Total Office are paving the way with ultra cool powered office add-ons you need to experience to fully appreciate! If you're looking to keep your office lobby up to date with the latest design trends, you're in the right place! Today on the OfficeFurnitureDeals.com blog we'll be highlighting super cool ways to enhance your space while simultaneously improving the guest waiting experience. Enjoy! The powered furniture and seating trend is here to stay! High tech lounge and lobby style chairs are rapidly becoming the industry standard. With powered lobby furniture and seating you're valued visitors will be able to work and charge devices while they wait. Keep it cool and contemporary with gray leather lobby seating. If you haven't heard, gray is the new black! Gray leather tones are easy to blend and will earn your welcoming area an abundance of positive compliments. 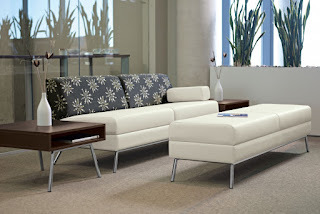 Maximize lobby appeal and square footage with modular seating. Brands like Global Total Office are making it easy to create one of a kind layouts built for collaboration. With modernized modular seating you'll be able to think outside the box with your lobby makeover project. If you're looking for ways to enhance your guest waiting area without using the traditional sofa and lounge chair setups overly used in years passed, consider modular seating for your space. Bistro themed guest waiting areas have been super popular in 2016. Businesses are looking for ways to make office visitors feel more at home when they visit. That being said, everyone loves to relax at their local coffee shop! With bar height tables you'll be instantly improving decor while creating a chill vibe your valued visits will relate too. You can't go wrong with the bar height bistro tables from OFM and Mayline! Use a modern guest welcoming desk to make a statement the minute your guests walk in the door! 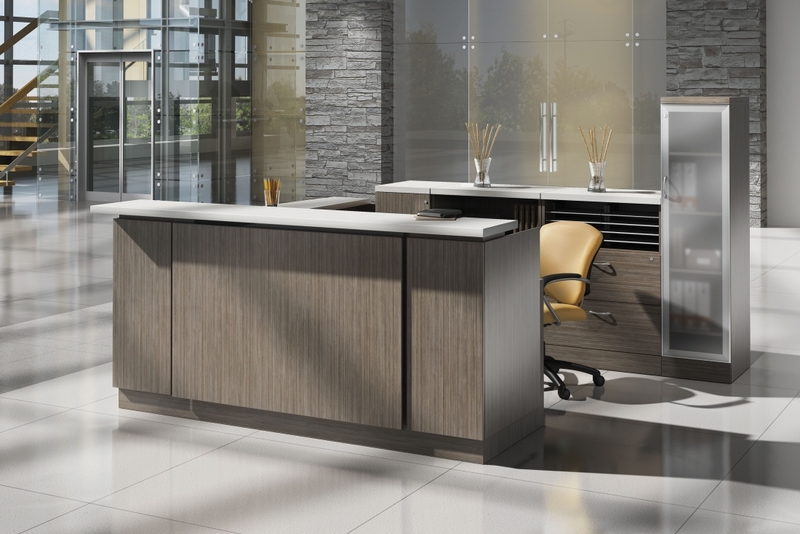 An upscale modern reception station from the Global Total Office Zira collection will do the trick. This innovative line is perfect for any growing business looking to kick corporate appeal into high gear. 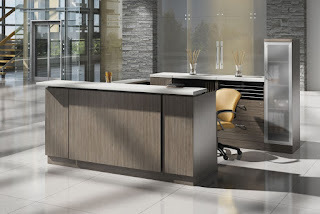 If you're looking to maximize the budget, check out the unique modern reception desks from the Mayline Medina collection as an alternative! Tablet chairs are the perfect combination of cool and comfort! Selecting modern tablet are reception chairs for your space will no doubt please guests as they'll be able to operate their devices more comfortably during their wait. Tablet chairs like the Sirena from Global Total Office are a must consider in 2016! Does your lobby see and abundance of guests day in and day out? Enhance appeal and durability by selecting seating with an anti microbial upholstery. Leather upholstery options are expensive and hard to maintain. Brands like OFM have made it easy to create long lasting appeal in the lobby with popular seating collections like InterPlay. 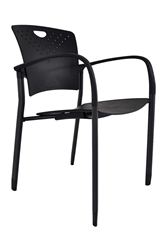 These heavy duty chairs support users up to 500 pounds and boast easy to clean anti microbial upholsteries that work great in healthcare and intensive use waiting environments. Last but not least, put a unique spin on your interiors with the addition of industrial accents! This trend makes it easy to personalize your space. Take the time to visit your local swap meet, flea market, or salvage yard. You'll no doubt be rewarded with one of kind pieces to pull your lobby together.